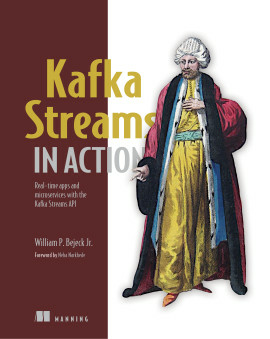 The one [and only] book on implementing microservices with a real-world, cover-to-cover example you can relate to. 1.1 What is a microservice application? 1.1.4 Why are microservices a good choice? 1.2 What makes microservices challenging? 2.1 What does SimpleBank do? 2.2 Are microservices the right choice? 4.5.2 When to use technical capabilities? 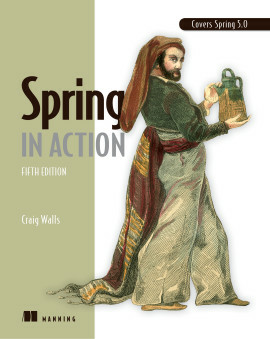 5.1.1 Why can’t you use distributed transactions? 6.2 What could go wrong? 7.2 What’s the purpose of a microservice chassis? 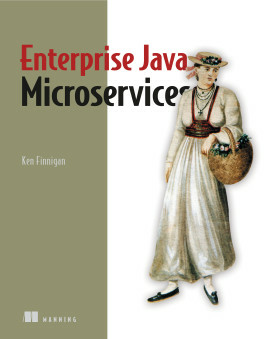 7.5 Wasn’t heterogeneity one of the promises of microservices? 8.1 Why is deployment important? 8.3.5 What have you learned? 8.4.1 What’s in an artifact? 11.3.1 Who needs to know when something is wrong? 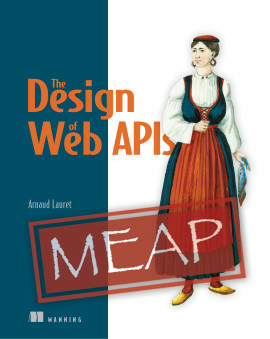 Invest your time in designing great applications, improving infrastructure, and making the most out of your dev teams. Microservices are easier to write, scale, and maintain than traditional enterprise applications because they’re built as a system of independent components. 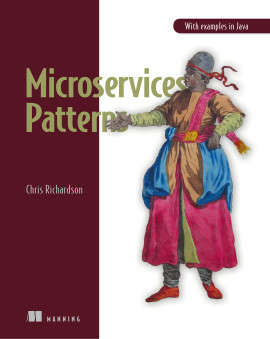 Master a few important new patterns and processes, and you’ll be ready to develop, deploy, and run production-quality microservices. 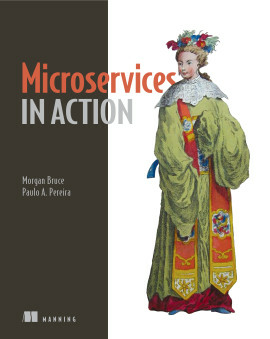 Microservices in Action teaches you how to write and maintain microservice-based applications. 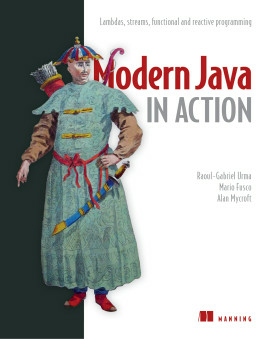 Created with day-to-day development in mind, this informative guide immerses you in real-world use cases from design to deployment. 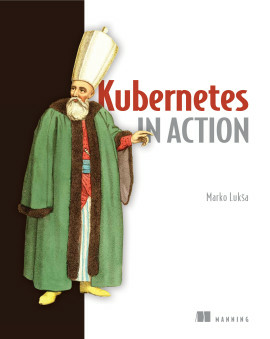 You’ll discover how microservices enable an efficient continuous delivery pipeline, and explore examples using Kubernetes, Docker, and Google Container Engine. 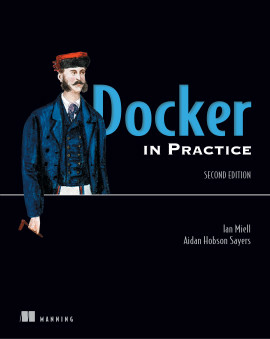 Written for intermediate developers familiar with enterprise architecture and cloud platforms like AWS and GCP. Morgan Bruce and Paulo A. Pereira are experienced engineering leaders. 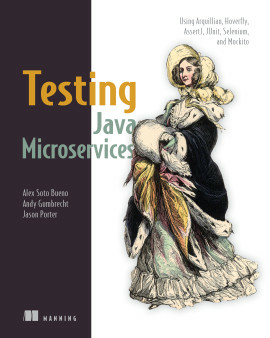 They work daily with microservices in a production environment, using the techniques detailed in this book. A perfect fit for those who want to move their majestic monolith to a scalable microservice architecture. 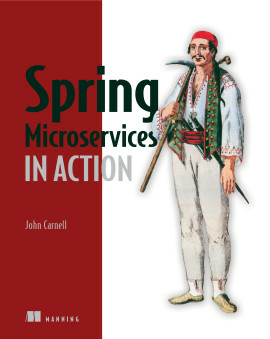 Shows not only how to write microservices, but also how to prepare your business and infrastructure for this change. 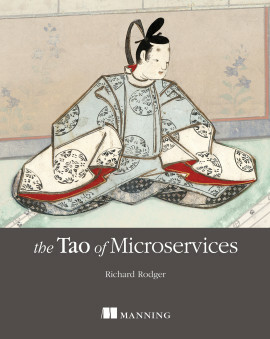 A deep dive into microservice development with many real and useful examples.